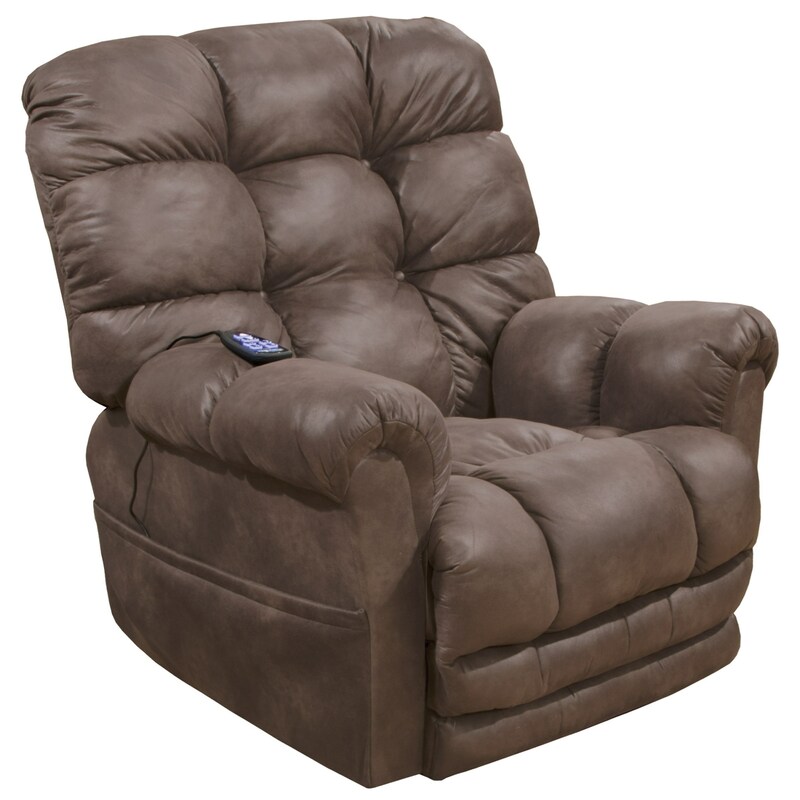 Easily get in and out of your seat with this power lift recliner in your home. The plush seat back, pillow arms, and full chaise cushioning of this recliner will surround you in comfort. A steel seat box promotes a strong and sturdy foundation to help support your body as you relax. The Oliver Casual Power Lift Recliner with Extended Ottoman by Catnapper at Miskelly Furniture in the Jackson, Pearl, Madison, Ridgeland, Flowood Mississippi area. Product availability may vary. Contact us for the most current availability on this product.